Do you use your dining room for it’s purpose or has it become a catch all for your latest craft project? Start using your dining room for what it was intended for, a place to enjoy dinner with family and friends, a place to be proud of! It’s time for some dining room furniture ideas that will transform the space into something spectacular. These floating shelves by Sawdust Sisters are such a great idea for a dining room. I love the idea of having plates and glasses handy! Wouldn’t this mirrored console table make a gorgeous buffet table? And guess what, you can build this from scratch with plans from Free Little Monkeys! Congratulations and great work to our featured bloggers this week! Be sure to grab a button below for your post or sidebar! Chalk Painted Dining Room Table – Sincerely Sara D.
I’m so excited to try out some of these dining room furniture ideas. Now on to the party! For the month of August will will do one link party that will be open all month long! With summer in full swing and getting ready for back to school we thought it would be a good idea to keep the party rolling with a month long theme. Thank you so much for including my project in your features today! I really appreciate it. Have a wonderful day! Thank you for partying with us! Love your project! Thank you so much for the feature... I love this party with all the amazing DIYs!! Keep those amazing money saving projects coming Anika! I love our projects and am so happy you have decided to party with us every week!! Thank you for another fun filled inspiring party! Love all of the dining room ideas!! I missed this feature completely because I was on vacation! Thank you so much for featuring our floating shelves!! Of course Janice! I love your projects! 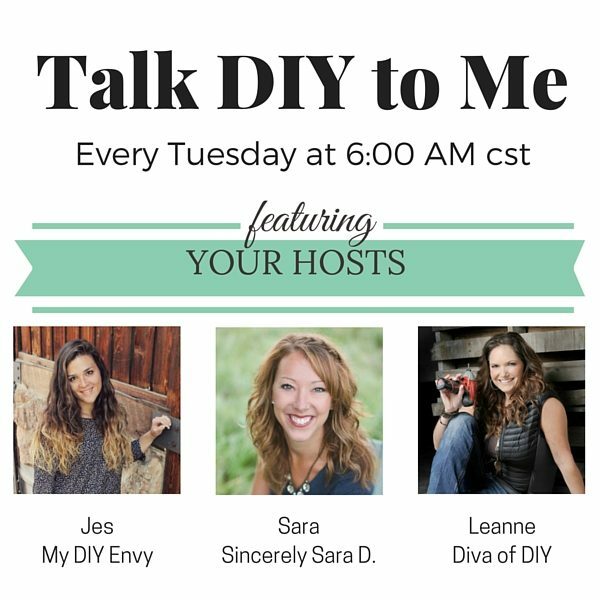 I hope you link up with us every Tuesday this month with one of your amazing DIY building projects!